“Who in the world am I?” The Enneagram is like a mirror, reflecting dimensions of ourselves that are sometimes hard to see. In this helpful guide, spiritual director and Enneagram teacher Alice Fryling offers an introduction to each number of the Enneagram and the respective triads into which they’re organized. More than just helping us discern our number, Fryling shows how knowing it can lead to transformation by revealing to us both our false and our true selves. She writes: “Knowledge of the Enneagram has led me to the grace of God. I discovered through the Enneagram that I am not just my gifts, I am not just my failures. . . . I am a person created by God, loved by God, and uniquely gifted to love others with God’s merciful and gracious love. Through the Enneagram God has taught me that I am not exactly who I think I am. . . . The Enneagram itself does not make me a different person. But knowledge of the Enneagram does help me see who I truly am and offers me words to describe how I would like to be transformed by God’s grace.” With questions for reflection and personal meditations aimed at leading you into deeper self-awareness, Mirror for the Soul will give you new perspective on yourself and reveal how you can experience Gods love more abundantly. Fryling, Alice. 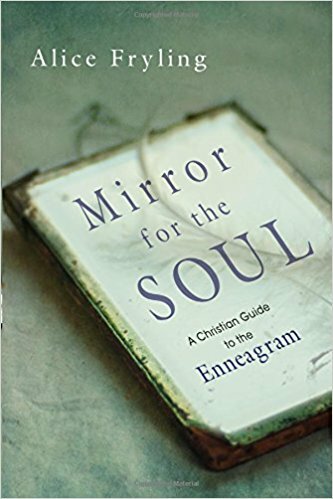 Mirror for the Soul: A Christian Guide to the Enneagram. Downers Grove: InterVarsity, 2017.